Donations above Rs 20,000 received by parties amounted to Rs 469.89 crore in 2017-18, of which a mammoth Rs 437.04 crore from 2,977 donors was donated to the BJP alone, according to a report by the Association for Democratic Reforms or ADR. National political parties in India were funded almost entirely by India Inc and a lion's share of these went to the BJP, according to data shared with the Election Commission for Financial Year 2017-18. The Congress received Rs 26.658 crore from 777 donors, while the BJP's share is almost 17 times this amount. In fact, the donation received by all national parties combined, except the BJP, comes to a paltry Rs 32.667 crore. 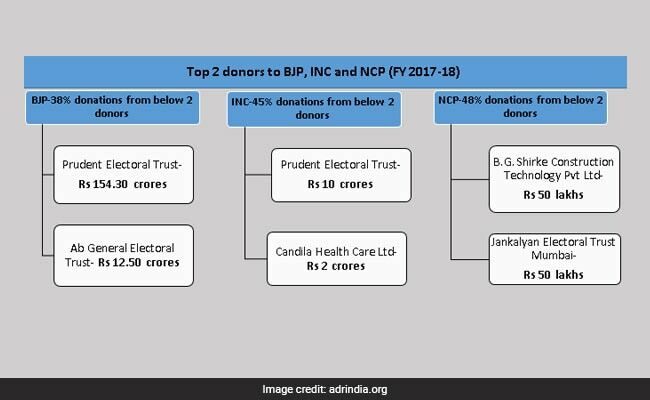 "The donations declared by BJP is more than 12 times the aggregate declared by INC, NCP, CPI, CPM and AITC for the same period", said the report. But more interestingly, almost all of this funding came from corporate donors. 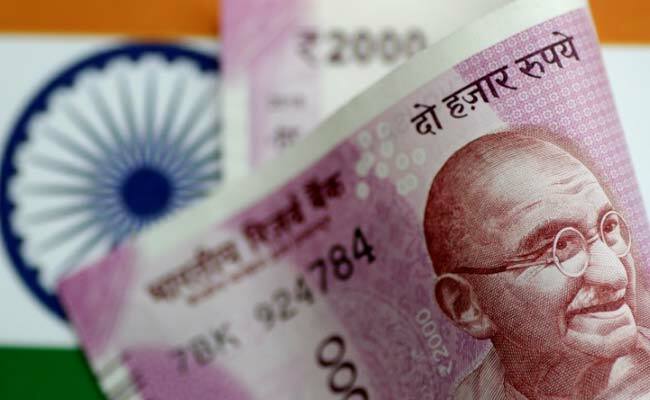 90 per cent of the entire sum of donations, amounting to Rs 422.04 crore, comes from the business sector, according to Election Commission data analysed by ADR. Only 10 per cent or Rs 47.12 crore was received from individual donors. Out of the total 1,361 corporate donations, 1,207 or 89 per cent of them went to BJP alone. The report also notes that political donations to all the parties have decreased by 20 per cent vis-a-vis the previous financial year. The ADR report, however, highlights several ambiguities and incomplete information provided by the national parties to the Election Commission. In a number of details, the parties have either not furnished the PAN details of the donors, or furnished incorrect details, making it different to form a money trail linking the donors to their political donations.